PSG currently sit 24 points clear at the top of Ligue 1 and have already booked their place in the final of the Coupe de la Ligue. 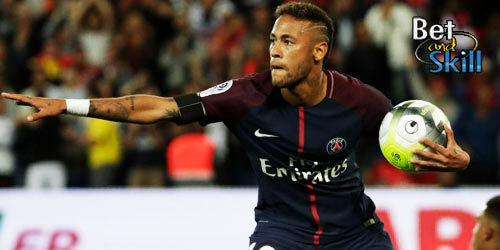 Les Parisiens have only lost one match all season and their 1-2 victory away at Marseille last weekend marked the occasion of their 31st victory in 36 matches this term. Furthermore, they have not lost a domestic fixture in any competition in 55 outings. Marco Verratti and Gregory van der Wiel are both out of contention with physical problems. They have joined Javier Pastore and Kevin Trapp in the injury list. Ibrahimovic will lead the line once again with Di Maria and Cavani on the flanks. Thiago Motta will be the midfield pivot while Serge Aurier is likely to start as right back. Matuidi and Lucas will be benched but could both play at some stage. Lyon come into this fixture off the back ofconsecutive 3-0 Ligue 1 victories away against Bordeaux and at home high-flying Angers. They are a staggering 33-points behind PSG in the league, but they still have a realistic chance of qualifying for the Champions League In their last eight away games Lyon have five losses. Plus, they have already visited PSG twice so far this campaign, coming away empty-handed on both occasions. Rafael, Fofana and Nabil Fekir are all likely to miss the match. Manager Bruno Genesio is likely to field a 4-3-3 formation with Cornet, Lacazette and Valbuena up front. Yanga Mbiwa, Tolisso and Grenier are expected to be rested. "PSG v Lyon predictions, betting tips, lineups, odds and free bets (Coupe de France - 10.2.2016)"